Motorists are being advised to avoid the area around the Stockbridge roundabout near Chichester. 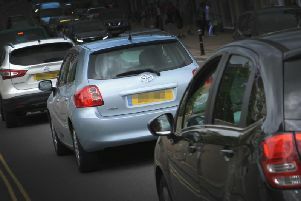 The collision is having a knock-on effect on traffic in the city. 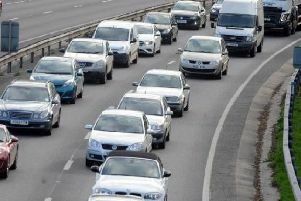 A spokesman for West Sussex Fire and Rescue said: "We were called to an RTC involving three vehicles on the A27 westbound between Fishbourne and Stockbridge at 3.22pm this afternoon (April 10). "Two engines were sent to the scene from Bognor and Chichester, along with an appliance from Hampshire FRS. Crews remain at the scene at this time and the incident is ongoing." West Sussex Fire and Rescue said on Twitter: "Delays are expected on the #A27 westbound following an RTC this afternoon between #Fishbourne and #Stockbridge. Crews from @ChichesterFire and @BognorFire are attending with assistance from @Hants_fire at this time." Chichester Police added: "Please avoid Stockbridge roundabout area of Chichester. Emergency services are dealing with an RTC. Both lanes Westbound are closed. #CHICHESTER."